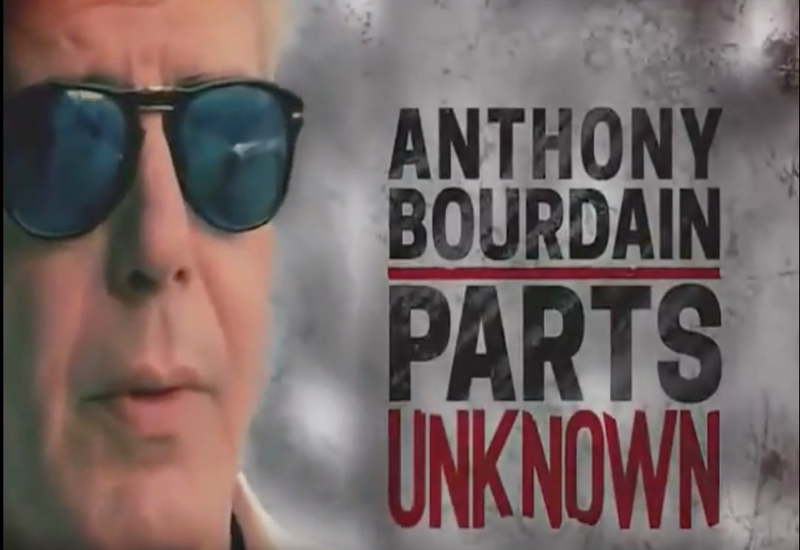 Last week CNN aired an Okinawa episode of the travel show Anthony Bourdain: Parts Unknown. I worked on the show for a couple of weeks before Anthony arrived helping set up some of the interviews, locations and arrange permits. This mainly involved driving around the island, making a lot of phone calls and having interesting meetings. Anthony Bourdain, famous as a straight talking, hard living chef has recently become passionate about jiu jitsu. 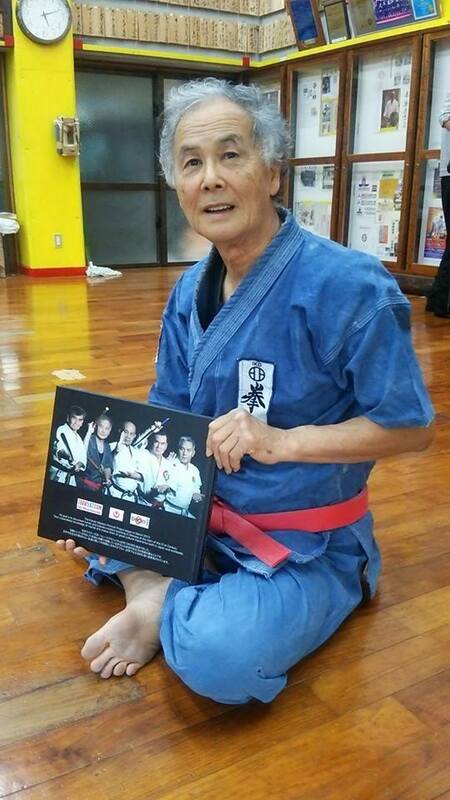 He was therefore extremely interested in the martial arts heritage of Okinawa. 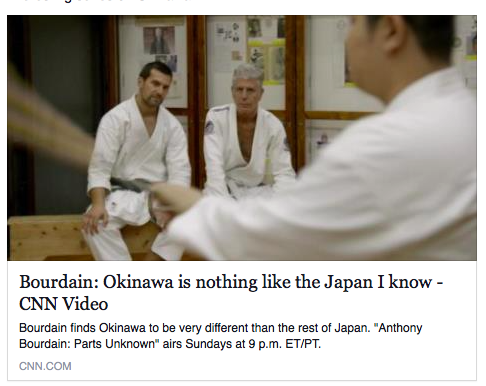 This is why karate and Okinawan sumo featured so much in the episode. 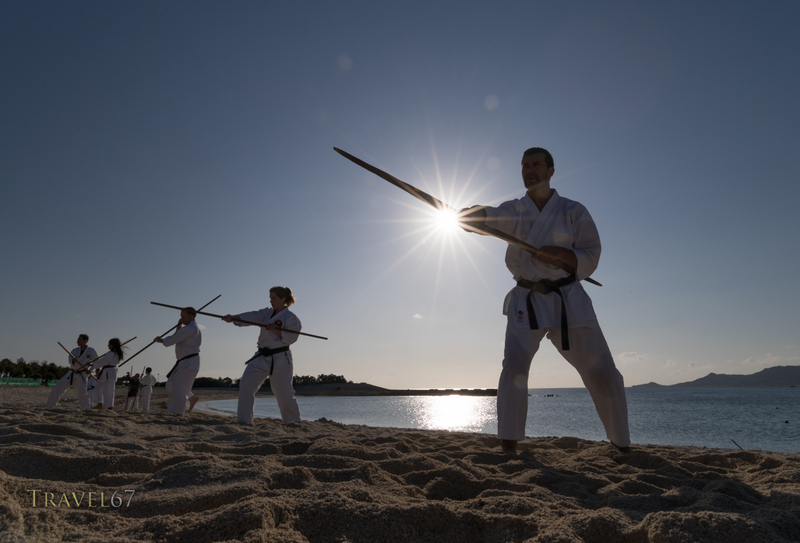 James Pankiewicz of the DOJO bar in Naha is the guy performing kobudo on the beach. I was taking photos of the 100 Kobudo event while the camera guys were getting B-roll footage for the show. 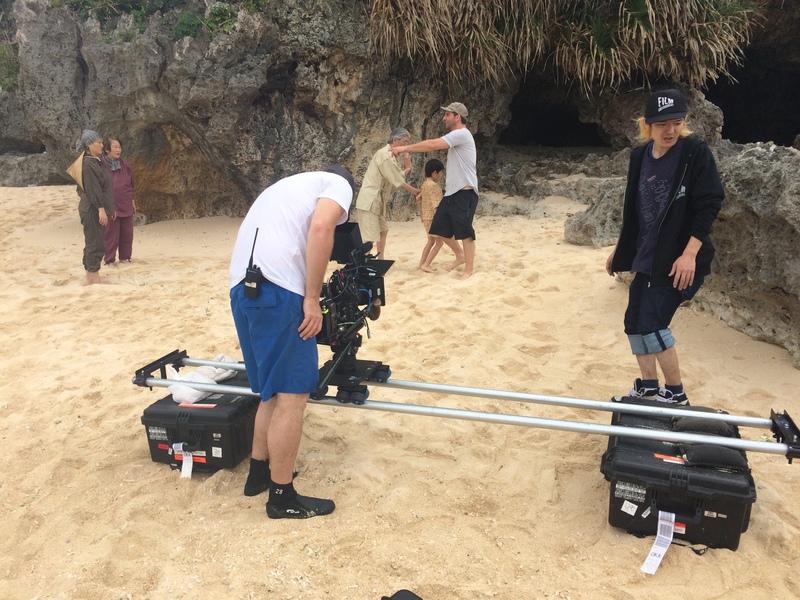 James was also the man showing Anthony around the Makishi Market in Naha, the beach wrestling on Kume Island, Hokama sensei’s dojo, and the Dojo bar itself in the concluding scenes. The DOJO Bar is a great place to visit, or you can see James and several hundred other karateka at the 100 Kata Event in the grounds of Zakimi Castle from 6AM on Sunday 25th October 2015. Other scenes and interviews never made it into the show simply because they had too much good stuff. There was a really interesting reenactment of an Okinawan family hiding in a cave in Yomitan, but it was cut and archival footage was used in its place. Overall a fascinating experience working on a TV show. I never got to meet Anthony, but I heard he had a great time. Look out for the episode on CNN! Your blog is great—keep up the good work. 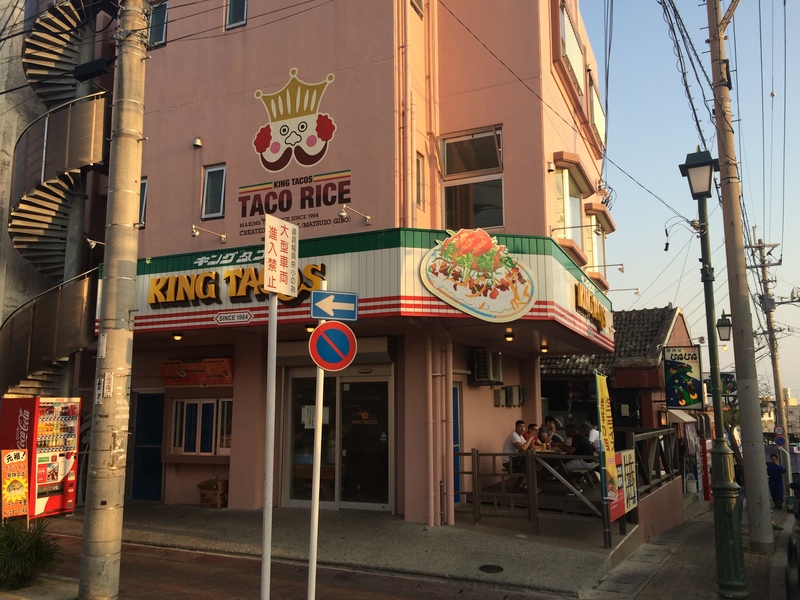 Makes me want to go back to Okinawa again. First time I went, I didn’t want to leave….. When you are sick of the cold, pop down to Okinawa for some winter sun. This is very cool. When I watched the show, I thought everyone looked so familiar, and because of your past photos. Good work! Some have found it on YouTube I think. It should also get repeated on CNN every so often. Next Post100 Kata for Karate Day at Zakimi Castle.